﻿ Even though I only stayed for 2 months I gained more than I expected in Kunyu mountain. Feedback for Kunyu mountain Shaolin kung fu academy. 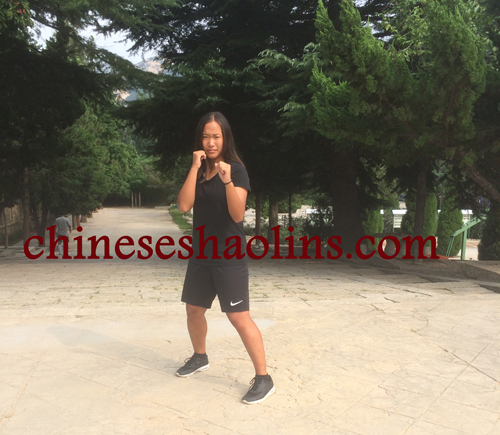 I have always wanted to try training Chinese kungfu since I was a child after watching kungfu movies with Jackie Chan and Bruce Lee. Since there was no kungfu school near my home I started training karate instead as a kid. I found out that I really like martial arts, but I stopped training because I got busy with school. During this summer I had 2 months of vacation, so i decided to try out kungfu in the country it originated from. I really wanted to train in China to learn from masters who grew up with kungfu. And I also wanted to challenge myself, training 25+ hours a week. The school being in the nature with mountains and lakes also made me want to come. Even though I only stayed for 2 months I gained more than I expected. I got to know myself and my body a lot better. And I know how to push myself now. In the beginning training was really hard, especially mentally for me personally. Sometimes I had wanted to give up during training but I really tried to push myself to continue. All of my fellow training friends also inspired me to keep going. Even though I had only been in the school for about a month I decided to participate in the grading and also enter a competition. I was in a really good group with supportive friends who helped me a lot during my stay which made it easier for me to challenge myself and get out of my comfort zone. Both physically and mentally the experience in Kunyu mountain academy was an eye opener for me. I also met a lot of amazing people here from all over the world that I am going to miss a lot. I think everyone in the academy was really nice and helpful, the students, the shifus, the translators and the working staff. They all helped in their own way. Especially my shaolin group helped me out a lot during my stay. I felt like we were a small kungfu family always supporting each other. Our group monitors Ramy and Thibaut worked really hard for the group, always trying to motivate us to do our best when we were tired. I have a lot to be grateful for because everyone worked hard for other people's sake. My shaolin master was Shifu Meng. He was really good at keeping the discipline in our group. He is a great and strict teacher despite his young age, very good at explaining the movements and amazingly good at showing how it is supposed to look like. His technique is amazing and I think his presence itself is a great motivation to our group because he really inspires us all. He is really good at pushing us to our limits, but also good at giving us breaks during the training to drink water in the hot weather. He is definitely a teacher I will never forget. An spent two month on kungfu training here in Kunyu Shan.